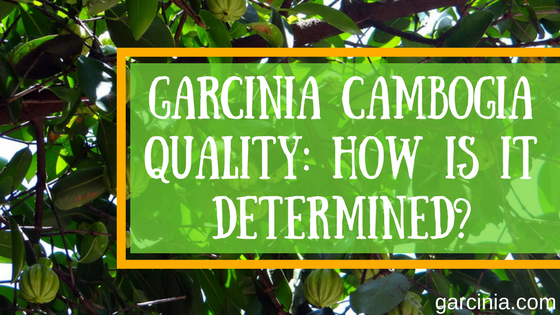 Garcinia Cambogia Quality: How is it Determined? The supplement industry can be challenging to navigate because so many manufacturers offer products of varying effectiveness. This supplement is no different, as many suppliers aren’t sourcing or selling a quality product. Fortunately, there are some telltale factors you can look for that will help you determine if you’re getting quality garcinia cambogia. First and foremost, a quality supplement is going to be much more likely to provide the benefits you’re looking for. Poorly made supplements are often far less efficient, and sometimes contain far less of the active ingredient you’re looking for. This can give you a negative perception of a supplement that may be very helpful. It can also stunt your progress as you work to achieve your weight loss goals. Perhaps even more importantly, poor quality supplements are notorious for containing added ingredients which are not only unnecessary but may be harmful to you as well. These additives can cause a litany of different side effects, and can even have long term health implications as well. Garcinia cambogia may help you to lose weight through two different actions. While more research is needed to completely understand how garcinia cambogia works to help you lose weight, scientists have pinpointed the active compound in garcinia cambogia, hydroxycitric acid or HCA. One of the best ways to lose weight is by eating less, and products that curb your desire to eat are among the most helpful weight loss aids. By eating less, your body burns more fat, because it has fewer calories to generate energy from. While it’s not entirely known how hydroxycitric acid can affect weight loss, research suggests that HCA increases serotonin production. Serotonin is a known compound that reduces appetite. Not only does HCA appear to reduce your appetite, but it also seems to positively affect fat production and the amount of fat that’s in our blood. HCA bonds with an enzyme called citrate lyase, which helps to regulate fat production in the body. When HCA inhibits this enzyme, it slows the production of fat in the body. It also reduces the amount of fat in the blood. Further, research suggests that garcinia cambogia also lowers bad cholesterol, raises good cholesterol and lowers blood triglycerides as well. 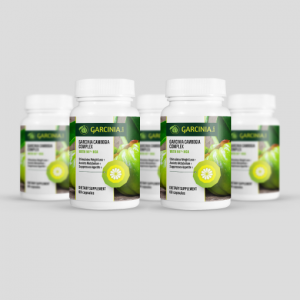 Garcinia cambogia is a type of tree that grows in many areas of the world including Asia and Africa. This tree produces a large citrus fruit that looks a bit like a green pumpkin. While the fruit of this tree is used in cooking by many different cultures, the fruit itself doesn’t have any effect on weight loss. However, the rind of the garcinia cambogia fruit, which is rich in HCA does appear to have a positive impact on our ability to lose weight. To find a quality supplement, there are several ways to evaluate the product. By taking a closer look at the product, you can ensure that the supplement you’re taking is going to provide you with the most benefit. One helpful way to find a quality supplement manufacturer is to read what other consumers have to say about their products. There are several third party sites on the internet that provide consumers with a forum to voice their opinions. Some of these sites even grade the overall performance of a company. Wherever possible, try and buy products from a company that has a long-standing reputation for high quality, ethically produced supplements. The best manufacturers often stand behind their products and offer a money back guarantee to their customers. That way, if the supplement you receive isn’t as advertised, you can get your money back. This type of guarantee is usually a good indicator that you’re purchasing a good supplement. Keep in mind that this isn’t a miracle supplement, and even the most high-quality garcinia cambogia will be ineffective if you don’t pair it with a diet and exercise routine. Another thing to look for is a manufacturer that does third party testing on their supplements. This lets the consumer know that all pills that are manufactured are independently analyzed for quality, and all of their products that reach market contain precisely what they’re supposed to. This type of testing is often very expensive, and some manufacturers don’t have their products tested as a result of this cost. While there are plenty of quality supplements available that aren’t tested by a third party, this type of testing is a strong indicator of a quality supplement. Garcinia cambogia is a naturally occurring substance, and it most often grows in underprivileged regions of the world. High quality manufacturers make it their business to ensure that the ingredients their harvesting are high quality, and don’t have a negative impact on the regions that provide them with their product. If the product’s manufacturer ethically produces their products, this is usually an indicator that the products they produce are of high quality. Poor quality supplements are notorious for having a distinct smell that can often be the result of chemical additives. If something smells “off” about the pills to you, this is a strong indicator that you’re dealing with a poor quality product. While price isn’t always an indicator of quality, it can be an easy way to determine if you’re dealing with good garcinia cambogia or not. While everyone wants to get the most value for their money, a low price can be an indicator of poor quality, and that’s especially true with garcinia cambogia. You may find garcinia cambogia supplements in the 10-25 dollar range. There’s a strong chance that these products are of poor quality, and contain less active ingredients and more fillers and additives. Most quality garcinia cambogia supplements will cost upwards of $30 per bottle. 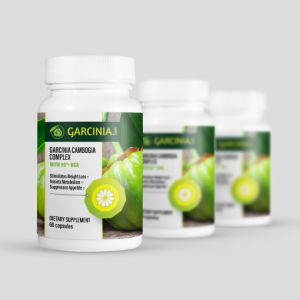 One of the best indicators of high quality garcinia cambogia is the contents of the label. A quality supplement will contain only a few specific, high quality ingredients. While garcinia cambogia extract will almost always be the first ingredient you see listed on the packaging, that doesn’t give the full story of whether or not you’re dealing with a quality supplement. What matters is the amount of HCA that’s contained in the extract. If you don’t see the amount of HCA clearly on the label, this may be an indicator that you’re dealing with a product of inferior quality. You should look for supplements which contain at least 50% HCA in the garcinia cambogia extract. Anything less than this is unlikely to provide you with any benefit at all. Potassium can be found in many different foods we eat on a daily basis, and it serves several vital processes inside the body. In this case, it’s included for absorption. Potassium helps the body take up more HCA to help you get the most out of each dose. Calcium is another important ingredient that’s found in many quality supplements. Like potassium, it serves a vital purpose in several different processes our body must complete to function correctly. Studies have suggested that a calcium deficiency can also lead to increased weight gain. Further, having the right amount of calcium can affect your ability to lose weight. 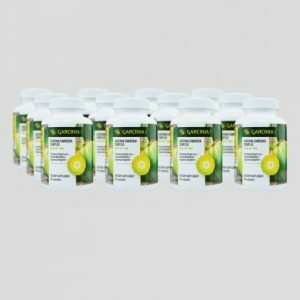 Chromium is a trace mineral which is added to some garcinia cambogia supplements. While this ingredient isn’t critically important, it may play a helpful role in weight loss. Chromium affects the body’s production of insulin. Too much insulin in the blood can allow the body to store additional fat, which stunts weight loss. While this isn’t a make-or-break addition to a garcinia cambogia supplement, you’ll usually only find this ingredient in higher quality offerings. Outside of the ingredients listed above, any additional ingredients listed should be viewed with skepticism. Poor quality manufacturers will often include artificial ingredients, fillers, and binding agents to their pills to increase their profit margins, regardless of how it affects the quality of their products. If you see ingredients like preservatives, wheat, soy, sugar, caffeine, sugar or salt, it may be an indicator you’re looking at an inferior quality product. As a rule of thumb, if you can’t pronounce it, it probably shouldn’t be in your supplement. 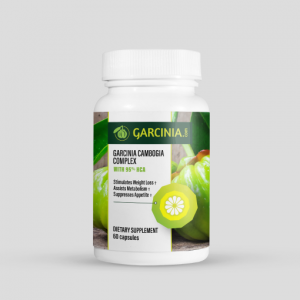 If you’re considering garcinia cambogia in the hopes of jump-starting your weight loss, there are some things to consider before you begin taking this supplement. If you’re dealing with a low-quality supplement, you’re unlikely to experience the benefits you’re hoping for. Be sure to evaluate all the products you’re considering before making a purchase. If you aren’t confident that the product you’re looking is a quality product with the best ingredients possible, listen to your intuition. By purchasing a high-quality supplement, you’re increasing your chance of success and putting yourself in the best position to achieve your goals.